The Crewe Hall Farm development provides six high specification, modern and spacious leasehold offices. 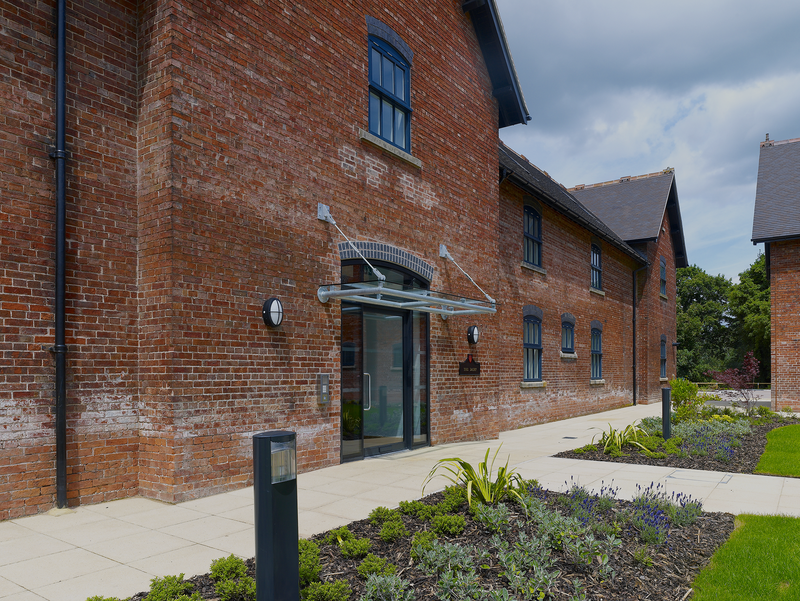 Set upon 3.12 acres of leafy farmland on the historic Crewe Estate, the Crewe Hall Farm development provides six high specification, modern and spacious leasehold offices from the refurbishment of five original structures together with the construction of a new two storey building. With the farm buildings dating back over 120 years, some Grade II Listed, the project was an exercise in sensitive design, heritage conservation and sustainable development. Contemporary architecture has been employed to maintain the original character of the farm through a complementary design of the new build and the integration of some of the original features – such as brick walls, exposed timber trusses and stone staircases within the renovated buildings. The scheme was brought forward as a partnership between the Duchy of Lancaster and Maple Grove Developments.